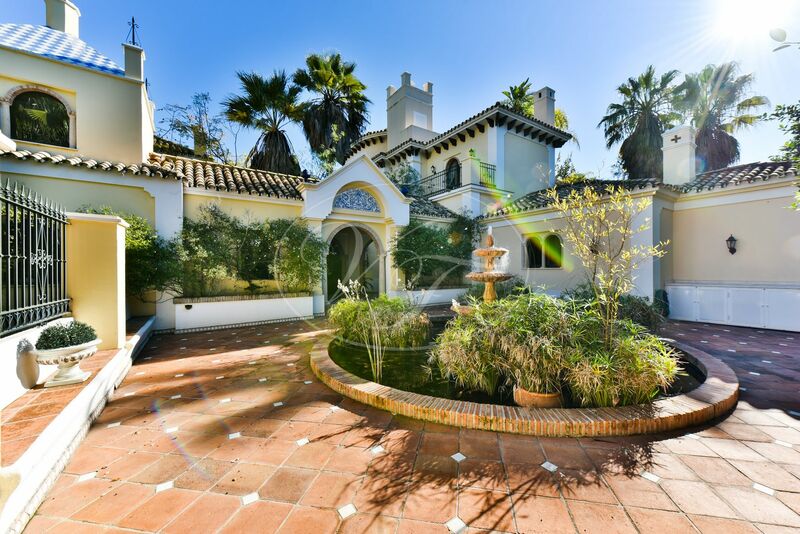 Magnificent Cortijo Style Villa built to the highest standard. 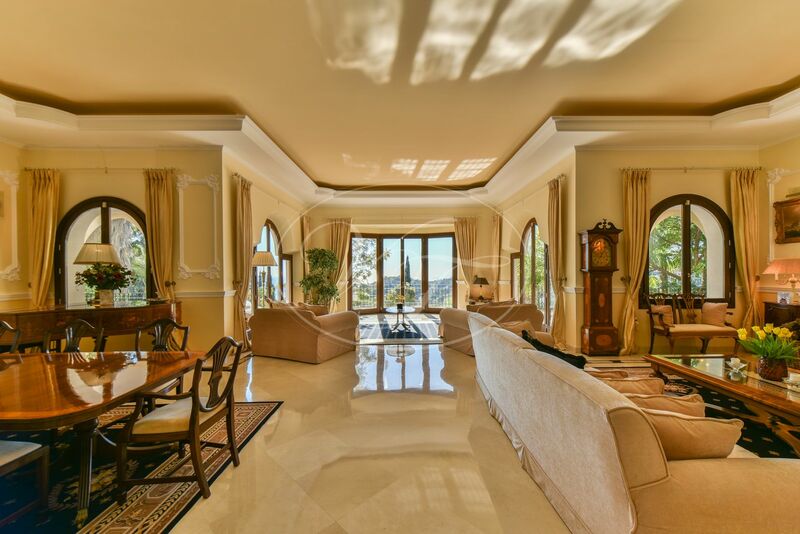 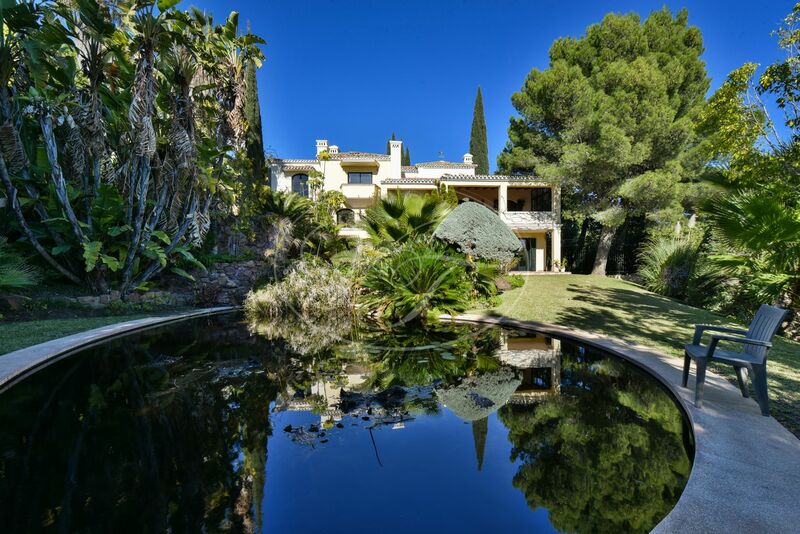 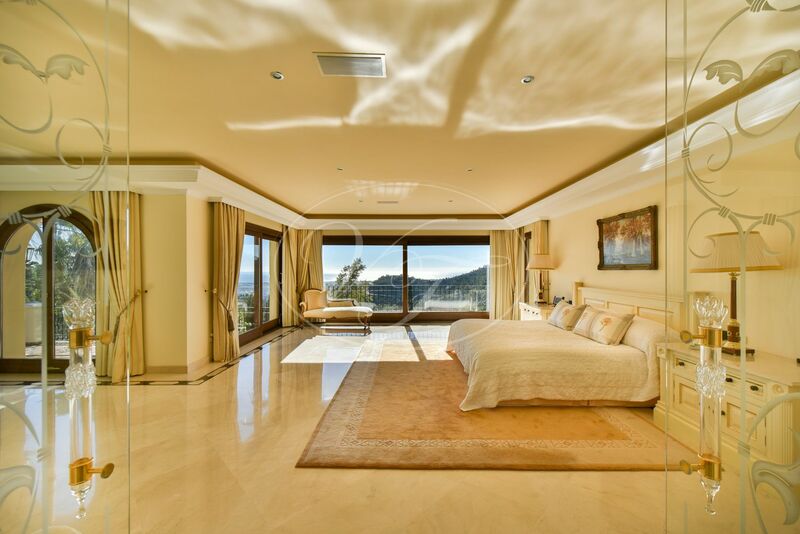 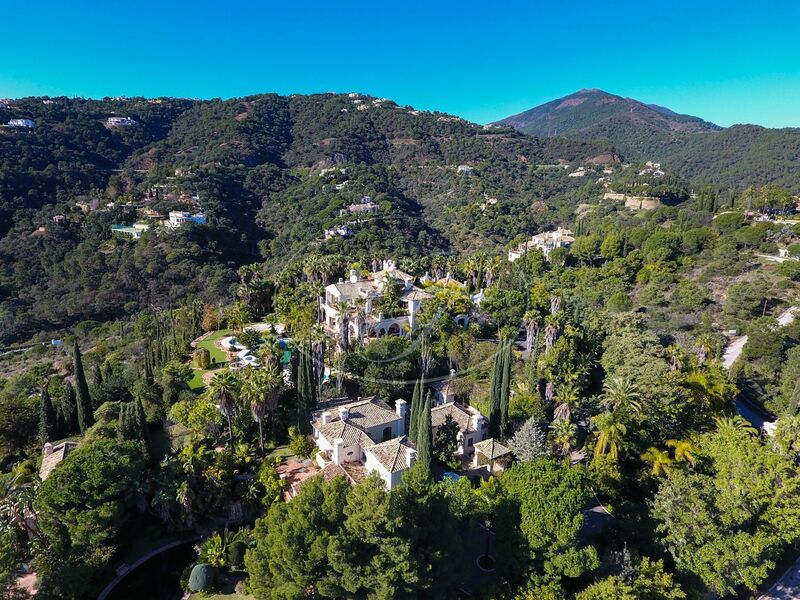 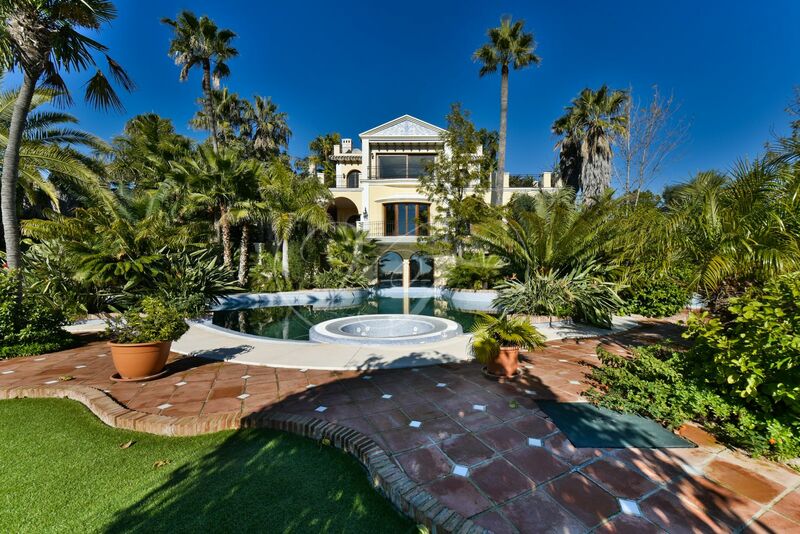 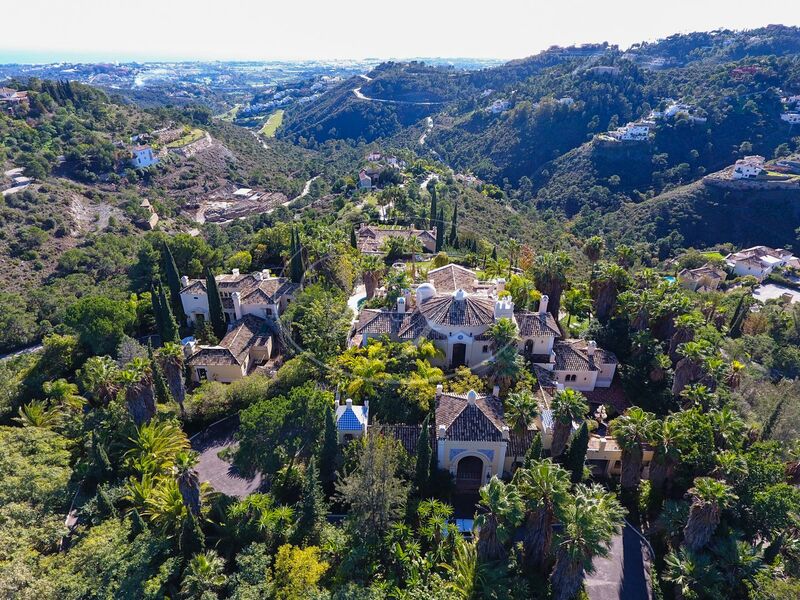 Located on the top of a hill in the luxury and exclusive gated community of El Madroñal, in Benahavis, this property offers amazing panoramic mountain and sea views. 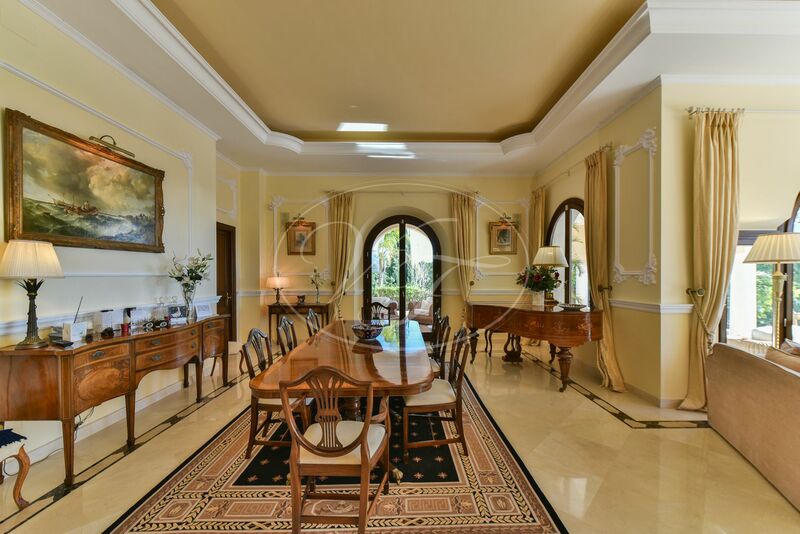 Two different spectacular villas have been built very privately on this large plot of 18.600m2, the main house with one suite for the owner’s accommodation and a guest house with 5 suites and a staff apartment, giving a total of 7 large suites, 9 bathrooms and 2 guest toilets. 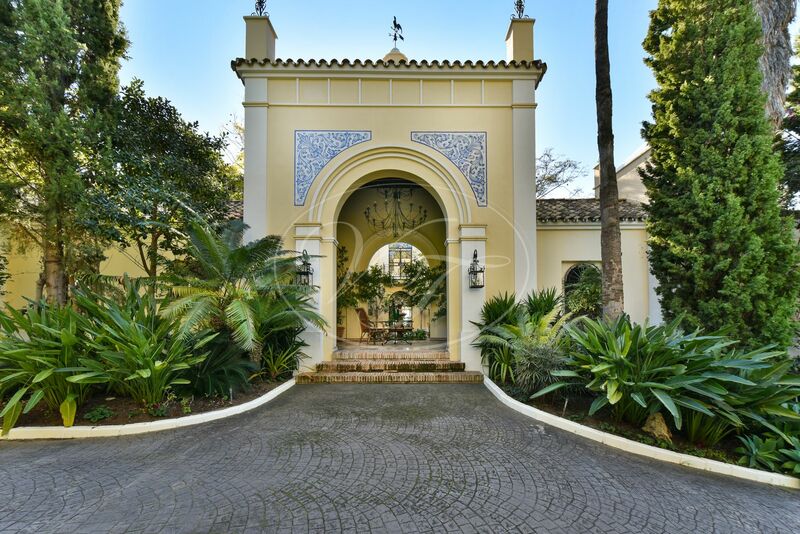 Entering the property through a private gate, the villa is surrounded by mature tropical gardens and fountains that welcome to both villas. 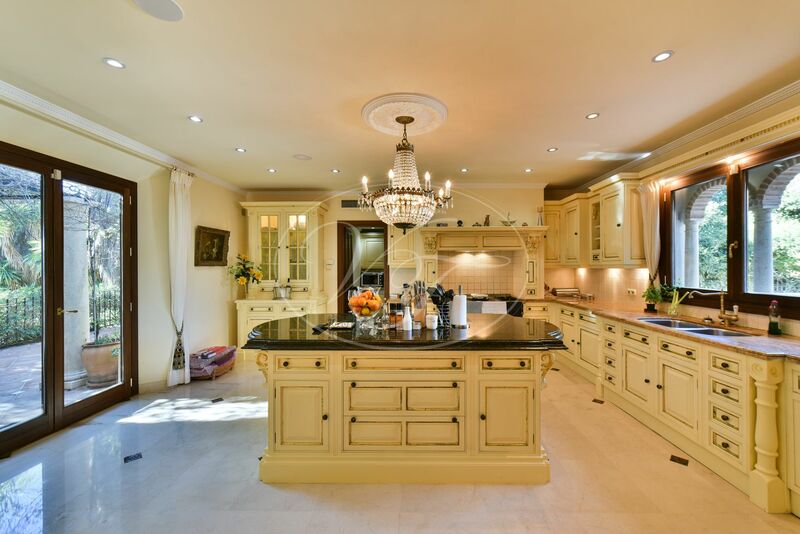 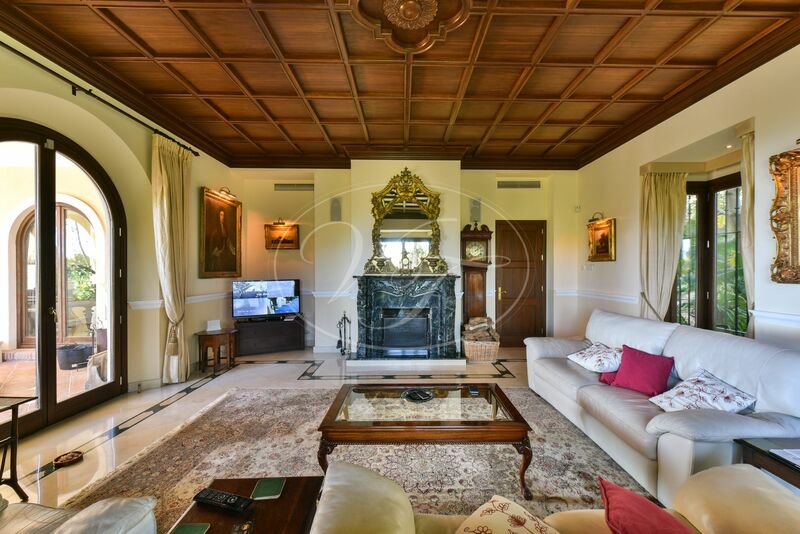 The ground floor of the main house consists of a beautiful entrance hall guiding to an enlightened and spacious living room bounded by glass windows and doors, tv room, office, dining room, large fully fitted kitchen with Clive Christian appliances, laundry room and a guest toilet. 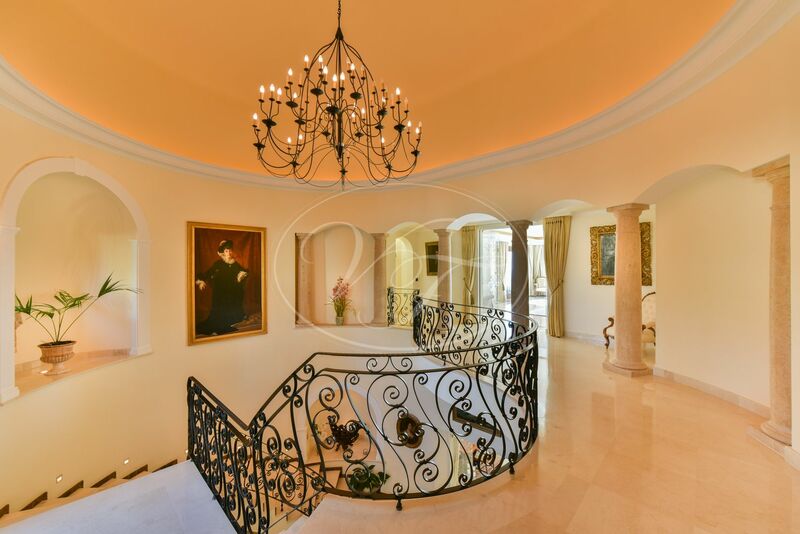 From the entrance hall, stunning staircases guide to the first floor, which is completely occupied by the fantastic master bedroom with breathtaking sea views, two en-suite bathrooms and two dressing rooms. 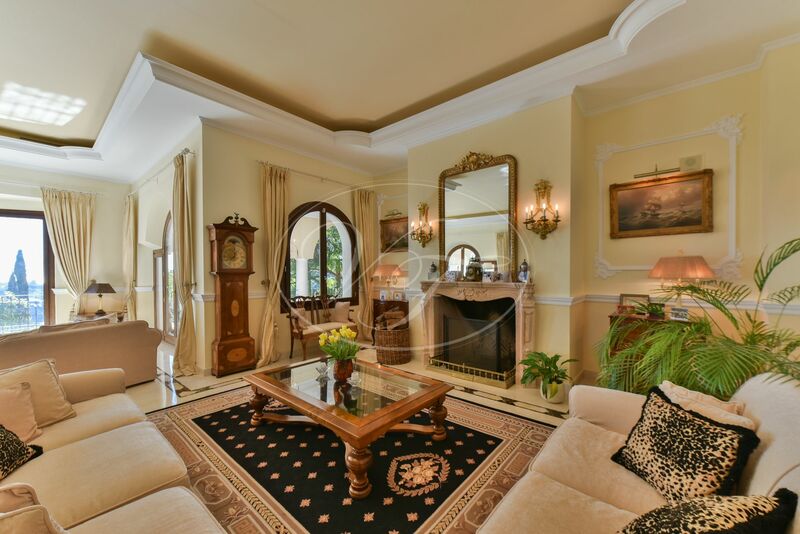 All along the house there are covered terraces and sitting areas with fire places where to relax and enjoy a nice glass of wine while overlooking to the amazing lake shaped swimming pool and cascades in the gardens. 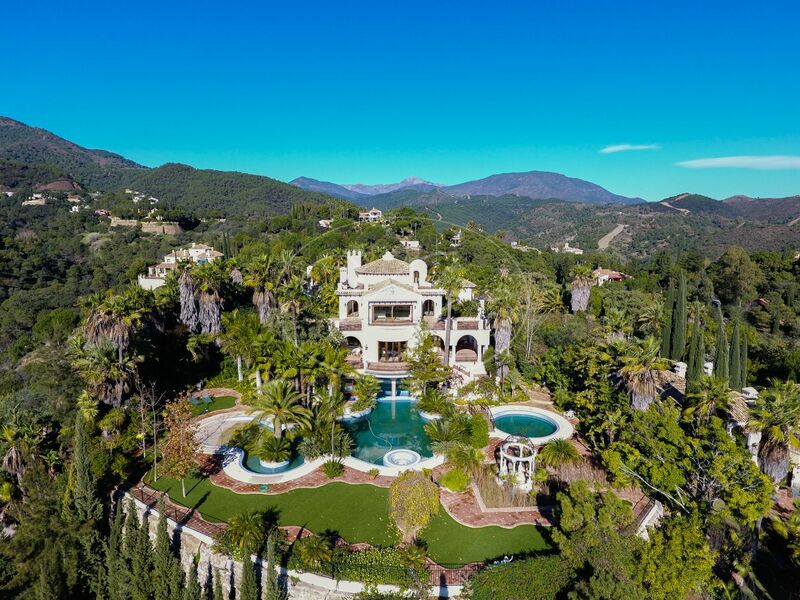 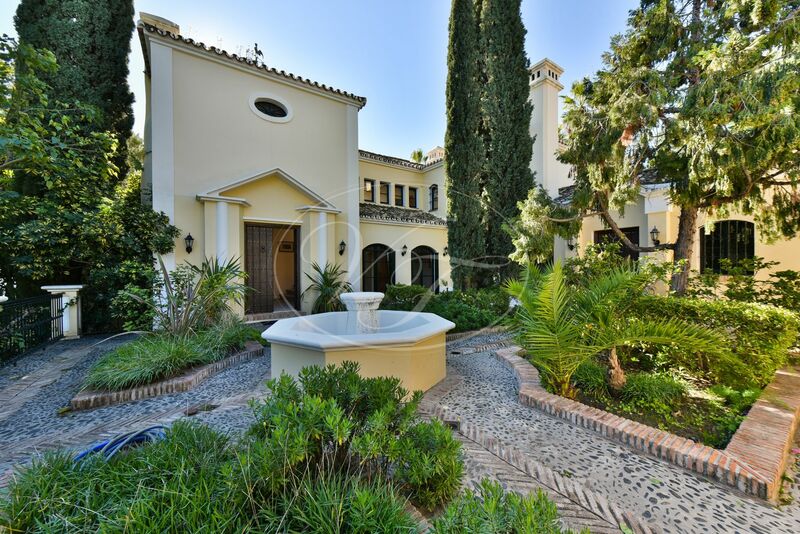 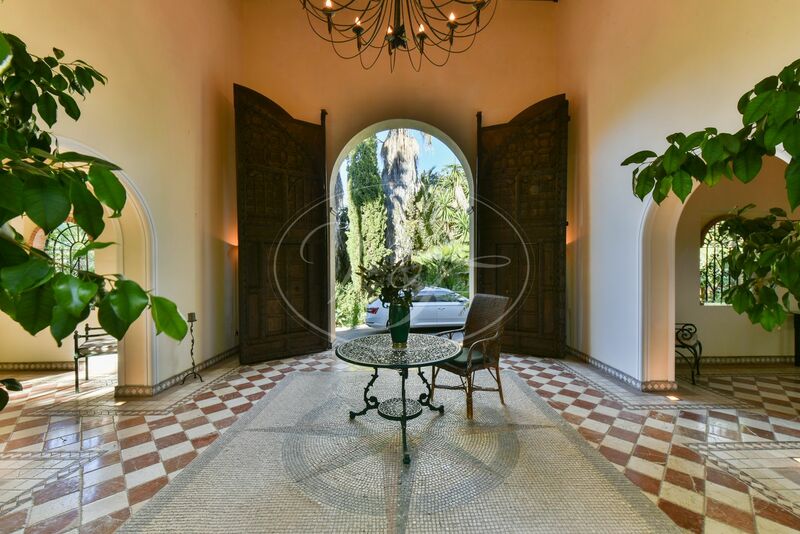 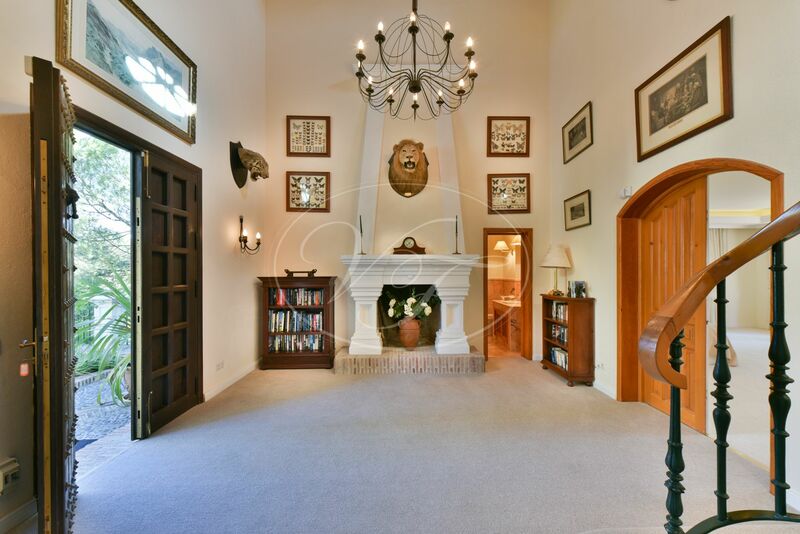 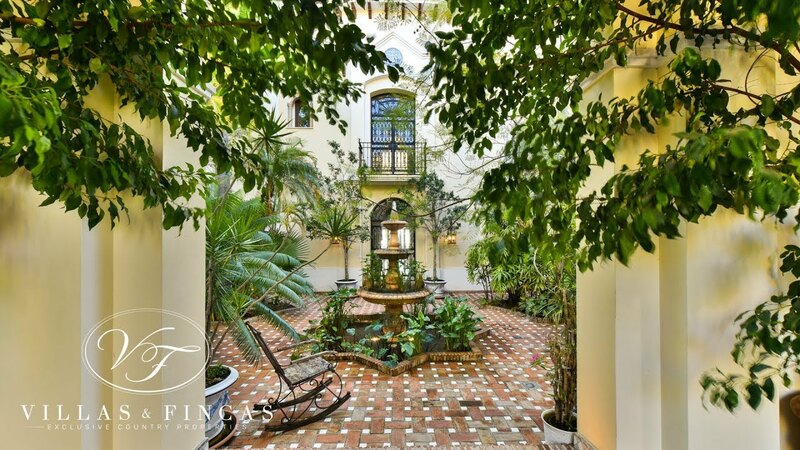 The main house is filled with luxurious details such as marble floors, pillars and fireplaces of Tarantino marble, beautiful iron works and spectacular glass doors. 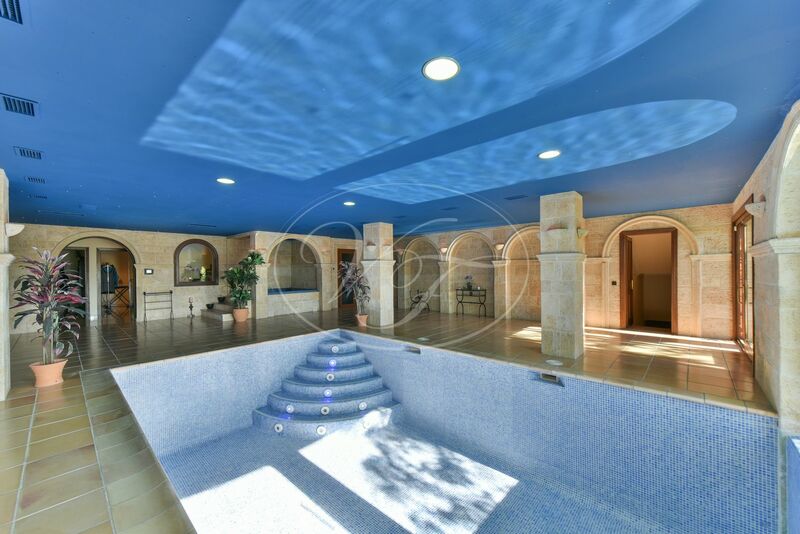 On the underground floor the villa has a heated indoor pool, Jacuzzi, sauna, cinema room, two shower rooms, storage and system room and parking for 10 cars. 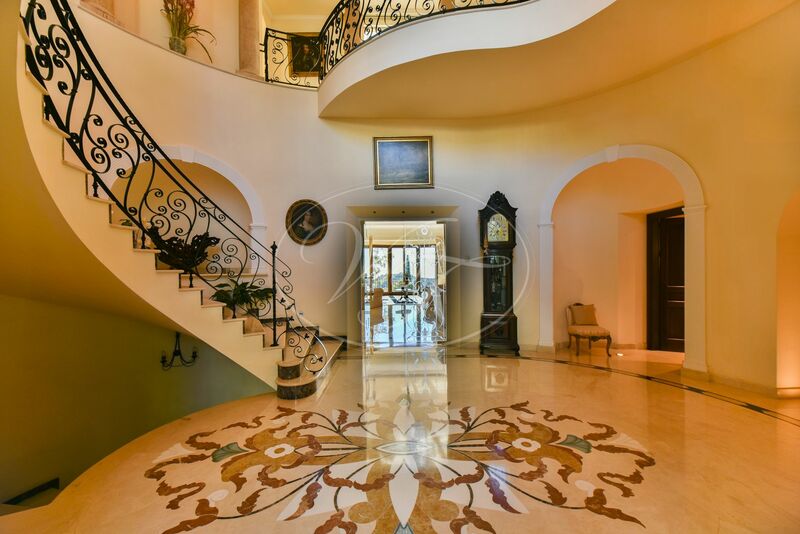 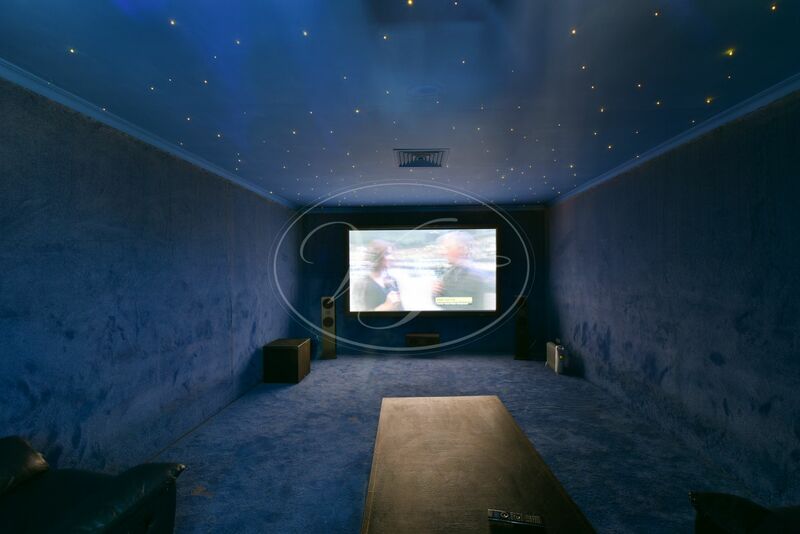 The house has music/sound system all around, elevator to all floors and under floor heating. 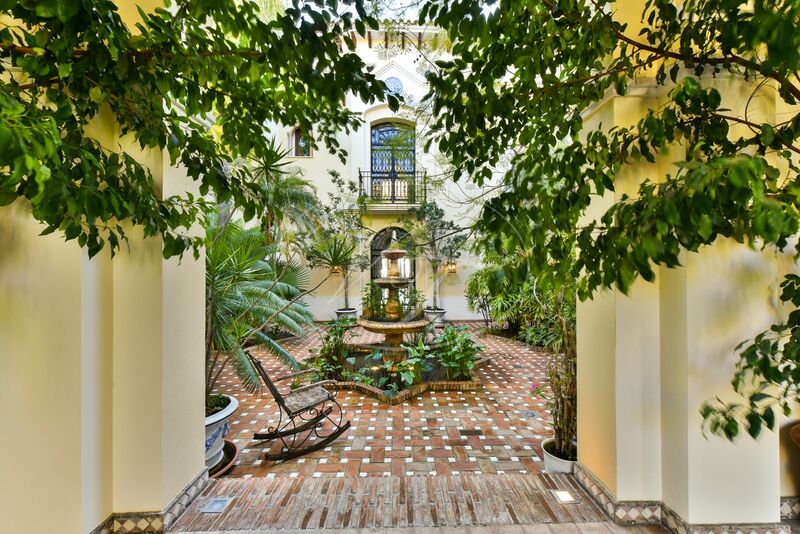 Both houses are interconnected with a corridor. 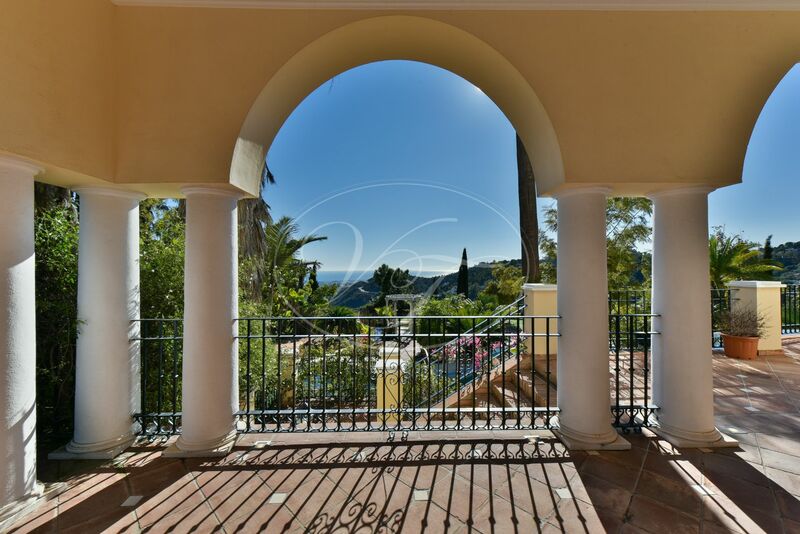 The incredibly cosy guest house with independent access has 5 very spacious suites with private bathrooms, dressing rooms and direct access to the terraces or gardens, two of them also have a lovely sitting area. 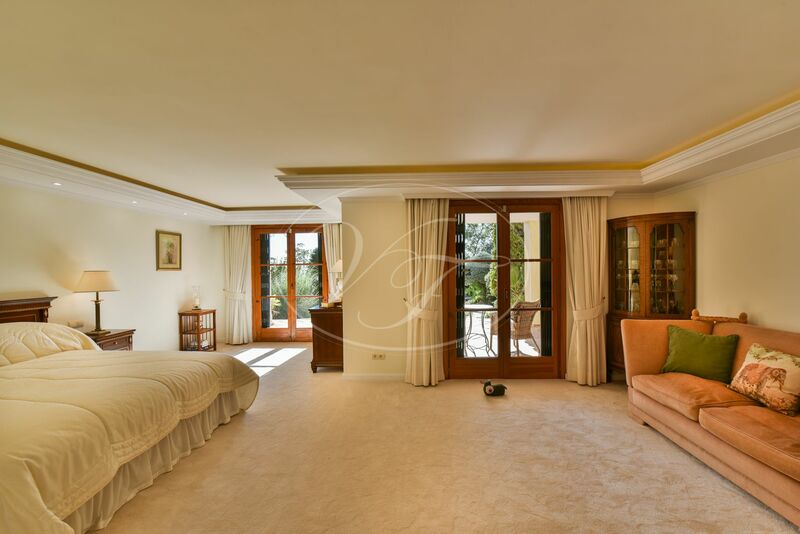 The house includes a self contained apartment for staff, two storage rooms, a guest toilet and it has hot/cold air conditioning in every room. 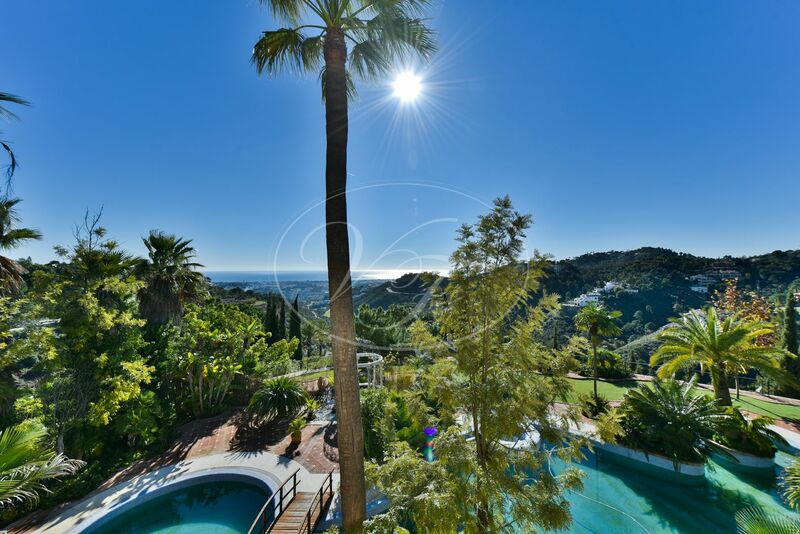 The ideal property to enjoy the privacy and beauty of nature as well as all the comforts of a luxurious life at only 15 minutes from Puerto Banus, 20 minutes from the centre of Marbella and 45 minutes to Malaga’s International airport. 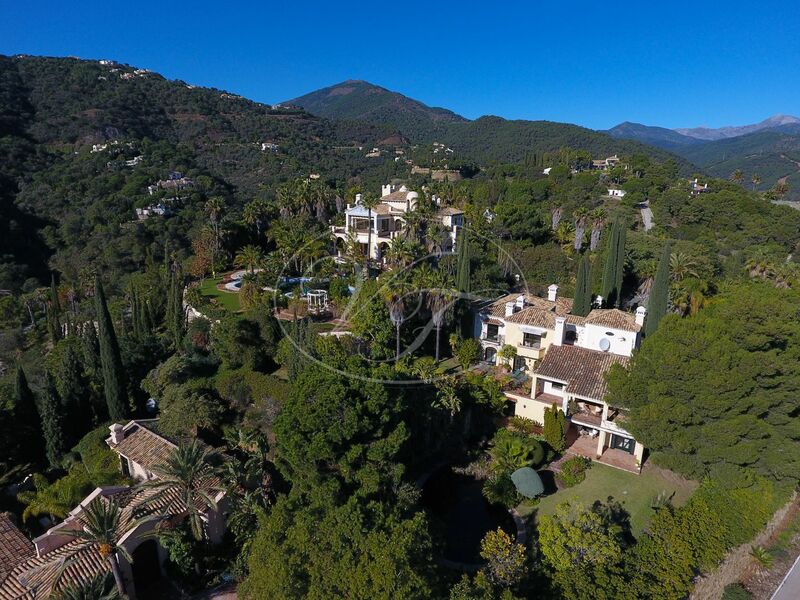 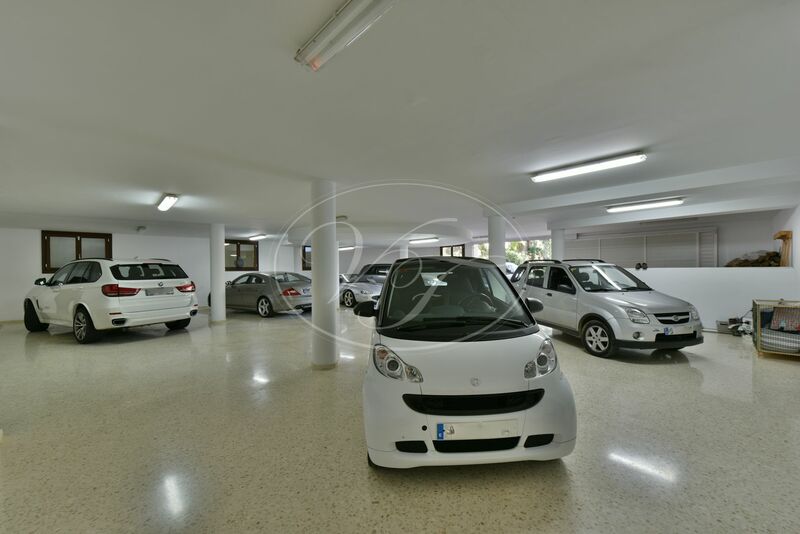 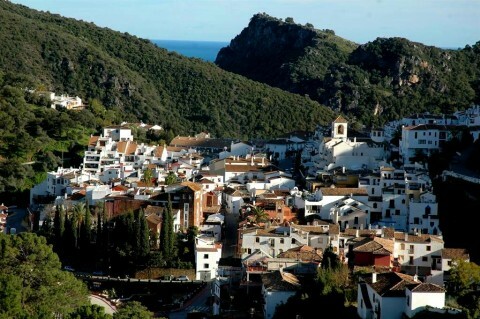 Please, send more information about ref 186-00658P, Villa in El Madroñal, Benahavis or similar properties.